As the world experiences unprecedented heatwaves nearly all over, a new report by scientists says the world is at risk of entering “hothouse” conditions where global average temperatures will become four to five degrees Celsius higher even if emissions reduction targets under a global climate deal are met. Temperatures have risen about 1.1°C (or about 2 degrees Fahrenheit) above pre-industrial levels. Virtually the entire scientific community has concluded that Earth’s temperature is climbing considerably faster than it did prior to the industrial era, and that greenhouses gases generated by human activities are the principal cause. A new study published in the US Proceedings of the National Academy of Sciences (PNAS) on Monday said it is likely that if a critical threshold is crossed, it may lead to a cascading effect with several tipping points being crossed leading to abrupt change. “These tipping elements can potentially act like a row of dominoes. Once one is pushed over, it pushes Earth towards another,” said Johan Rockstrom, co-author of the report and executive director of the Stockholm Resilience Centre, according to media reports. “It may be very difficult or impossible to stop the whole row of dominoes from tumbling over. Places on Earth will become uninhabitable if ‘Hothouse Earth’ becomes the reality,” he added. A 2015 Paris climate agreement aimed to keep global warming below 2 degrees Celcius, compared with pre-industrial levels. But according to the report, the risk of tipping cascades could be significant at a 2C temperature rise — and could increase sharply beyond that point. “This cascade of events may tip the entire Earth system into a new mode of operation,” warned co-author Hans Joachim Schellnhuber, Director of the Potsdam Institute for Climate Impact Research, according to a report by Al Jazeera. 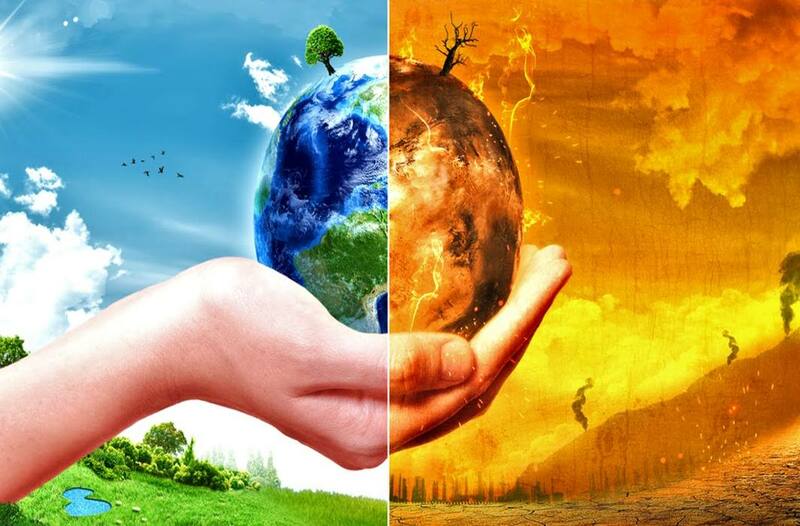 Thus, even if humanity slashes greenhouse gas emissions in line with Paris climate treaty goals, the planet could overwhelm such efforts and irretrievably tip into a hellish ‘hothouse’ state. Under such a scenario, the earth’s average temperature would stabilise 4 or 5 degrees Celsius above pre-industrial levels, rather than the 1.5 ° C to 2 ° C cap called for in the 196-nation pact. As it is, the world is struggling to curb the man-made carbon pollution that amplifies the likelihood and intensity of deadly heatwaves, droughts and superstorms: climate change continues to outpace the transition to a green, clean global economy. But that challenge will become exponentially more difficult if the earth itself gets into the act, the researchers said. Scientists from the Stockholm Resilience Centre, the University of Copenhagen, Australian National University and the Potsdam Institute for Climate Impact Research worked on the study. They said that “Hothouse Earth” is likely to be dangerous to many and uncontrollable. Rivers would flood, storms would wreak havoc on coastal communities and coral reefs would be eliminated – all by century’s end or even earlier. Global average temperatures would exceed those of any interglacial period — meaning warmer eras that come in between Ice Ages — of the past 1.2m years. Melting polar ice caps would lead to dramatically higher sea levels, flooding coastal land that is home to hundreds of millions of people, reported Al Jazeera about the study. The “carrying capacity” of a 4C or 5C degree world could drop to a billion people, co-author of the study Hans Joachim Schellnhuber has said previously.